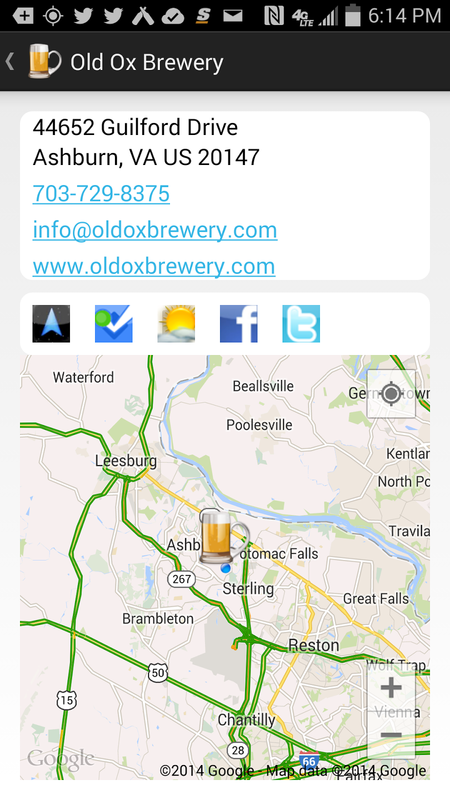 After publishing Cruising for Beer & Wine Along the W&OD Bike Trail: Falls Church to Ashburn, I learned that Old Ox Brewery was planning to open adjacent to the trail in Ashburn, so another trip. This time I started at the W&OD parking lot near mile marker 24 and didn't have to pedal long (or need theCompass Winery Brewery Distillery Locator mobile app) before seeing the Old Ox sign on that trail (between markers 25 & 25.5). The brewery's official opening celebration is Saturday July 19th, but they are open for visitors Thursday and Friday evenings and all day on weekends. The currently plan on having four everyday beers, but at the time of my visit the two choices were a Belgium Golden Ale and IPA Session - both low alcohol and suitable for a bike ride. I chose the session beer and it had a strong citrus aroma and a refreshing tail - nicely done. 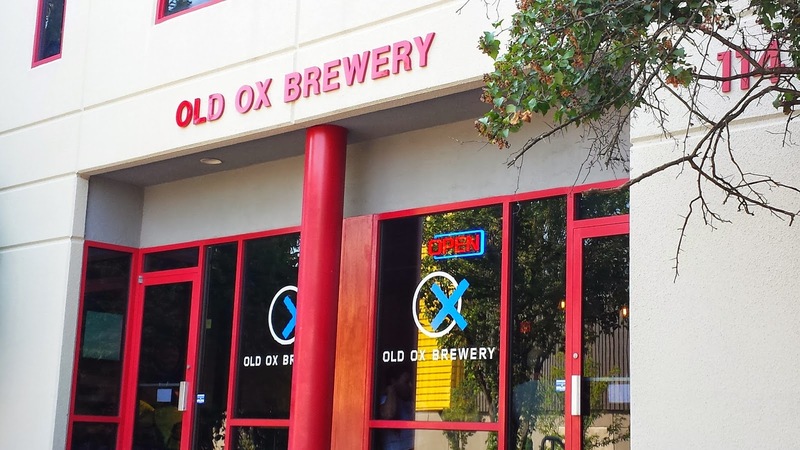 Old Ox's brewer is an ex Old Dominion brewer - so expect more good beer in the future. For food, Jennifer's Pastries from next door delivers or stop by Carolina Brothers BBQ at mile marker 27.5. Heading west, you could turn on Smith Switch Road and head to Lost Rhino Brewing Co. or continue to Leesburg. 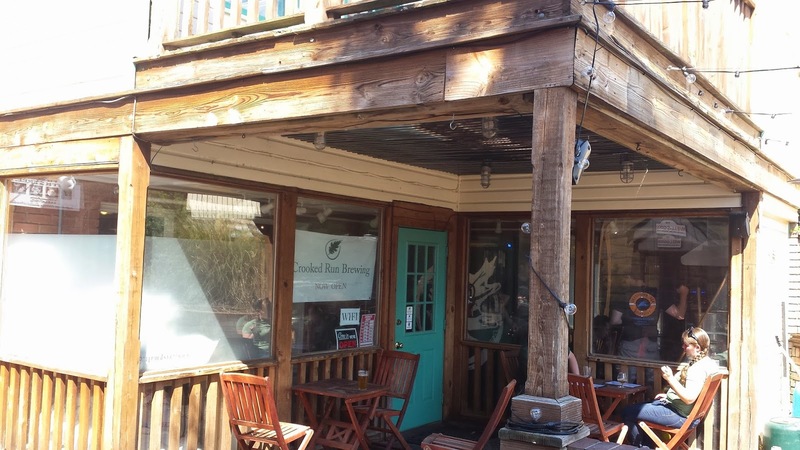 And practically nine miles from Old Ox near mile marker 34 head up the hill on Harrison Street for the Leesburg beer quad. Ya got craft beer centric restaurants in Tuskies and Fireworks Pizza; German flavor with the Döner Bistro; and a somewhat brewpub - Mud Hound Brewing Company at MacDowell Brew Kitchen. 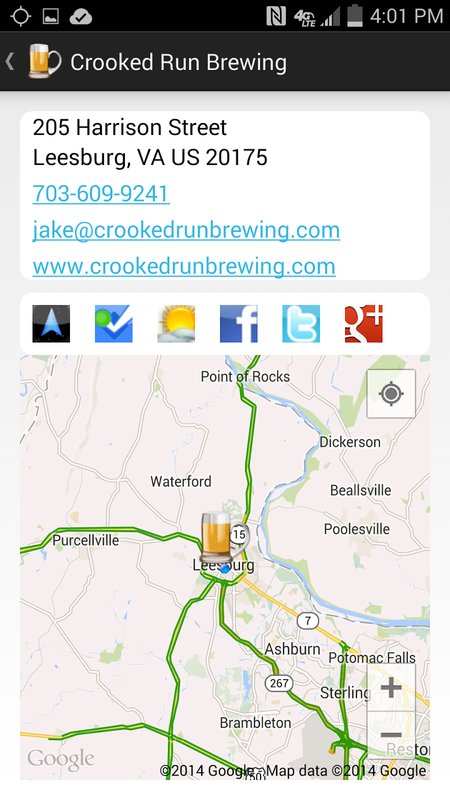 I say a somewhat brewpub because they brew one beer and this day - none was available.But for me, turn left just before Tuskies for Crooked Run Brewing. This is a small operation, excluding the Shadow of Truth - which is brewed at Beltway Brewing Company for a larger distribution. Today, there were five beers on tap; all approachable - with my favorites being the Hopsail Pale Ale and Commando Imperial Classic American Pilsner. The former is lighter - but full of flavor and aromas with a low abv; whereas the Commando is a big beer - tons of flavor balanced nicely with plenty of hops - with neither overwhelming the palette. With such a small operation, available beer styles change often - weekly in fact - and don't miss their one year anniversary, also on July 19th. Update: I've been asked to include area bike shops available for emergency repairs. In Leesburg, Transition Triathlon is closest to the Trail with Bicycle Outfitters not too far away. The latter also has a store in Ahsburn, but it's not close to the Trail.